Jackson Labs Technologies, Inc. (JLT), a designer and manufacturer GNSS, timing and frequency equipment, has announced several new products with full support for Europe’s Galileo system, including a Galileo-Enabled Multi-GNSS Disciplined Oscillator (GNSDO) and a free software retrofit that adds Galileo functionality to existing products. The European Galileo satellite navigation system is approaching operational status with recent launches and commissioning of Galileo satellites. At any time, three to four Galileo satellites on average can typically be tracked in the continental United States. Additional space vehicle launches are planned for later this year and next year that will significantly improve Galileo availability. Based in Las Vegas, Nevada, JLT has upgraded its Mini-JLT GPSDO with an eighth-generation u-blox GNSS NEO-M8T timing receiver that can process Galileo signals as well as available GPS, GLONASS, BeiDou, and Quasi-Zenith Satellite System (QZSS) signals. With JLT’s GNSDO, users can choose to operate a single GNSS system, or multiple concurrent GNSS systems for redundancy. Concurrent operation aids performance by allowing reception of up to 72 GNSS satellites, according to the company. Jackson says the Galileo GNSS promises significant improvements in timing and frequency performance due to improved on-board hydrogen maser atomic references (while only cesium and Rubidium references are used in GPS and GLONASS satellites) and other system improvements. In stationary timing mode, the new Galileo-capable GNSDO products will operate with as little as one single satellite in-view, according to JLT, and can use additional satellites to improve timing stability and accuracy via an over-determined timing solution for oscillator disciplining. Reportedly, indoor tracking with the GNSDO is possible with a signal strength down to -167dBm. These new Galileo GNSDO’s provide 1PPS timing as well as highly stable and accurate 10-megahertz reference outputs, the company says. 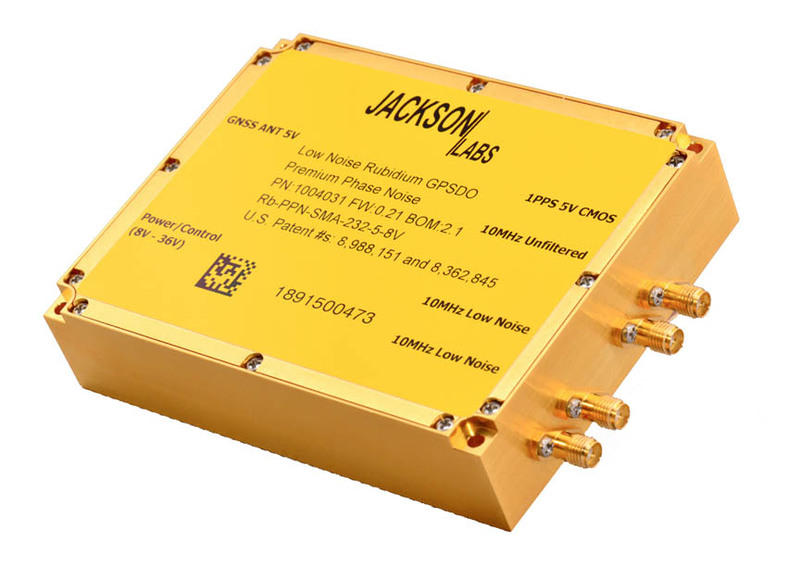 JLT’s M12M Replacement Receiver can also now provides a user-adjustable timing/frequency output with 1Hz to > 10MHz adjustment range, while the Low Noise Rubidium GNSDO can provide an industry-leading typical holdover performance of up to, and better than 500ns over 24 hours. Besides introducing the new Mini-JLT GNSS module, JLT also makes available concurrent Galileo reception via a free software update to existing customers of the JLT M12M Replacement Receiver, and the Low Noise Rubidium product line.